Mike Moore | The Journal Gazette Norwell junior Will Geiger is averaging 19.3 points and 9.3 rebounds for the Knights. He turned away bigger schools to stay closer to home. Driven and dedicated. Responsible and considerate. 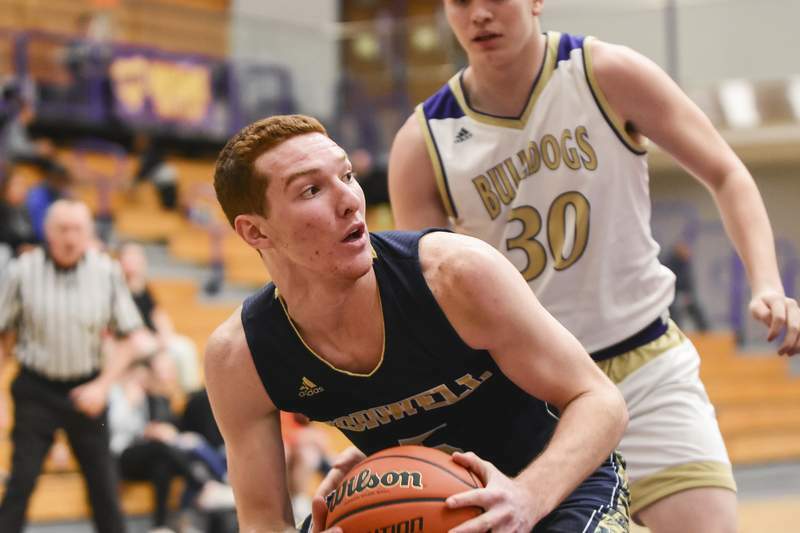 Those are the words the parents of Norwell junior Will Geiger use to describe him on and off the basketball court, where he has started to become a household name on the northeast Indiana basketball scene. The 6-foot-4 forward is averaging 19.3 points, 9.3 rebounds and 1.5 steals while shooting 55.5 percent from the field. As he sits inside Norwell High School talking about his life on and off the basketball court, Geiger's hands shake a little bit. Callused and aged beyond their years, Geiger's hands are a gateway to his personality: perhaps unsettled by the attention, but ultimately reliable and steady when they are needed most. When he steps onto the court or onto his father's farm, all of that disappears. “My greatest respect for Will is he considers other people. He doesn't like to have a lot shined on him,” said his mom, Kristyn. Geiger spends a lot of time helping out on the farm with his father, Chris, and his older brother Jace, now a senior at Purdue. Will started out picking rocks out of the fields as a boy; the “glory job,” his dad jokes. Since then, he has become an important part of the corn and soybean harvests. After his freshman year, he gave up playing football to focus on basketball and to spend more time on the farm during fall. Chris Geiger recounts a time this fall where Will showed his true work ethic. With the farm needing work through the night, Chris left Will at 11 p.m. and returned to find him at 7 a.m. still running the tractor. “If you are on a project and you say 'this may be a little over our head or this is a little more than I want to get into,' almost tell him that it is maybe a little bit impossible, he will take that and he will just go at it and prove you wrong,” Chris said. Last summer, Will was approached by elite basketball programs from Fort Wayne and Indianapolis, but, after talking with his family, he chose to play with a smaller program to spend more time with his family at the farm. Even though there are days when Will has to cut short extracurricular time with his friends or cut things out – such as football – all together, he is focused on his future. He isn't sure yet what level of basketball he will play, but he doesn't mind the idea of following Jace to Purdue and studying agriculture. Basketball or no basketball, the route leads back to the farm. “It is a big part of the family and something we want to continue to do and continue to work hard at. It is fun to work out in the summer, odd jobs and stuff. In the spring and the fall, the planting and harvest, that is a lot of fun because it is go time 24/7 because you are always in the field,” Will said. 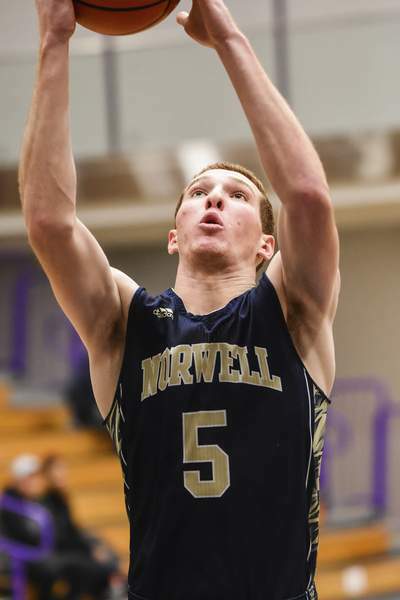 On Monday, the Norwell basketball team picked up an important conference win at New Haven. Will poured in 25 points, grabbed 15 rebounds, had four steals and even executed a rare fast-break dunk. Fundamentals, Will believes, will continue to be the key for success for himself and Norwell.